China Daily (17 Jun 2009) :Tempest over tea: What is the true Puer? Among all types of Chinese tea, Puer may be an acquired taste that might not suit all consumers - but recently it has become the most controversial. Two years ago certain types of the fermented tea were selling for more than their weight in gold. But as with so many sectors and commodities, the speculative bubble collapsed at the end of last year and the market has since lost 85 percent of its value. But behind the now-sluggish market is a hot debate on what exactly can be called "Puer tea", with its two major producers - Yunnan and Guangdong provinces - battling it out. At the root of the conflict is a national standard for a "product with geographical indications - Puer tea," which was approved by General Administration of Quality Supervision, Inspection and Quarantine on August 5 last year. The standard, which took effect on December 1, 2008, says that only tea produced in Yunnan's 639 towns in 11 prefectures and cities, including Pu'er and Dali, can be called Puer tea. It also stipulates the tea can only be made from a large leaf variety of the plant growing in the defined area that is then processed using a specified technology. According to the standard, except for those 639 towns, other locations such as Guangdong, cannot call its tea "Puer" any more. The standard also prohibits Puer tea with no geographical indications from sale after June 30 this year. Guangdong province, the other big producer of so-called Puer tea, will then be stripped of the right to process and sell tea that carries the name. "The time has almost run out, dozens of tea factories will die and many workers are likely to lose their rice bowl," said Zhang Liming, secretary general of Guangdong Tea Procession Association. "Rice planted in northeastern provinces can be called rice. What about rice planted in southern parts of China? Do they change it into another name?" Zhang asked. An academic paper by professor Ding Junzhi from South China Agricultural University says that in fact Guangdong was one of the earliest places to process Puer tea. "In the Qing Dynasty, when Guangzhou was opened to the outside world as a port, various types of tea were sold there," he wrote. "Because Yunnan is so far from Guangzhou, tea transported on horseback had to endure a long journey and changes in climate. Its quality and taste were transformed by the time it arrived, but merchants found it quite popular among consumers." Ding noted that "by the 1950s, Guangdong had already developed a post-fermenting technology to speed up the process of ripening Puer tea". "Guangdong is an important production region for Puer tea, and the processing method of ripened Puer was invented in Guangdong," an unnamed tea trader in Guangdong was quoted as saying by Xinhua news agency. "Now only that produced in Yunnan can be called Puer tea. It is obvious (local) protectionism," he said. "We have sent complaints to the General Administration of Quality Supervision, Inspection and Quarantine, but there is no reply yet," Zhang said. "We believe the central government will consider our difficulties." Zhang said her organization has asked the China Tea Marketing Association to act as a coordinator, while several local authorities such as the Economic & Trade Commission of Guangdong Province and Guangdong Customs have also offered help. Wu Xiduan, secretary general of the China Tea Marketing Association, admitted that his association is acting as a coordinator between the two provinces. "Guangdong may send a delegation to Yunnan to discuss it," he said. "Protection of geographical products is a popular practice in many countries," said Yang Shanxi, director of the Yunan Tea Industry Office, noting the new standard is designed to "effectively protect" the industry and ensure that consumers are drinking authentic Puer tea. When Puer tea prices skyrocketed to unexpected levels two years ago, tea farms geared up to produce large amounts. Tea leaves from Yunnan were mostly used for Puer tea processing, resulting in sharp decreases in production of Yunnan black tea and some types of green tea. Though not suited for making Puer, tea leaves from Fujian, Sichuan, or from neighboring Vietnam and Myanmar, were made into "Puer tea". In 2005, the Yunnan Tea Business Association even publicly accused Guangdong of selling too much counterfeit Puer tea. "A 'geographical indication' is the symbol of where the product originated and it is also a symbol of quality," Xinhua quoted Yang as saying. "It is not only used for Puer tea and was not invented by Yunnan." China's "Protection Agreement for Products with Geographical Indications" adopted on July 15, 2005 included hundreds of products lists the Pinggu big peach, Longjing tea, the Shaanxi apple and the Guanxi honey pomelo, which now enjoy protection to avoid counterfeits. Longjing tea, the most famous Chinese green tea, was listed as a geographically indicated product by the General Administration of Quality Supervision, Inspection and Quarantine in 2001. Only tea produced in Xihu, Qiantang and Yuezhou of Zhejiang province can be called Longjing. Some observers note that Longjing has been claimed by Zhejiang and now Puer by Yunnan, but no other province posed a strong challenge to Zhejiang, while Guangdong reacted fiercely over Puer tea. Guangdong has its reasons - it is the biggest Puer tea market on the mainland and has a strong capacity to process the specialized tea. According to Guangdong Tea Profession Association statistics, Guangdong can produce 5,000 tons of Puer tea each year that is mostly exported to Hong Kong, Malaysia and Japan. Only a small fraction of its Puer tea is traded on the mainland. "Guangdong's Puer tea is popular in Hong Kong and Macao. We have seen constant demand since the 1950s when Guangdong started its Puer tea business," Zhang said. "But most of our tea is sold to neighboring regions and Southeast Asian countries. We need to explore other huge markets around the world, rather than arguing on which tea can be called 'Puer'." To ensure compliance with the new standard, "only customs has Puer tea's code, and without the code, you cannot export to the outside market", said a man surnamed Pan with the Guangdong Tea Imports and Exports Co, Ltd in a telephone interview. "If our tea cannot be called Puer tea, what name will we use for customs declaration?" "We would like to cooperate with Yunnan," Zhang said. "There is no conflict between us as the two places can grow together. Otherwise, we will lose international market share." According to customs statistics, China exported 4,341 tons of Puer tea last year, down 29 percent from a year earlier. Total revenue from Puer tea exports declined by 14.5 percent to $36.8 million, but at the same time exports of black tea and Oolong increased and green tea, China's dominant export tea, continues to have robust overseas demand. "We face fierce competition in the world's market. Countries like Sri Lanka have also started to produce Puer tea," Zhang added. "To expand worldwide, we should provide consumers with various Puer tea flavors if they like. Yunnan's Puer is good. Guangdong's is good, too. You can see now many customers are accustomed to Guangdong's flavor." Liang Minqiang, general manager of Guangdong Tea Imports and Exports Co, Ltd, said his company will be greatly affected. "This is so illogical. We don't know what to do next as we still want to produce Puer tea. I think we should fight to the very end." I purchased this book "The way of tea" while I was in Hong Kong last year. Written by Lam Kam Cheun, this book is a general book on chinese tea. The book mainly deals with tea history, types of tea and tea making with a chapter on healing teas. The book has beautiful illustrations and pictures and makes worthwhile reading for the avid tea drinker. One of the articles in the book deals with the optimal temperature of water to make tea. The author describes the 3 ways of distinguishing the water temperature; namely Shieng Pien (by sound), Chi Pien (by watching the steam) and Hsing Pien (looking at the bubbles). Click on the 2nd pix to have a enlarged view of the different bubbles of boiling water. In the 1st level of boiling water, the bubbles are called crab eye bubbles, 2nd level - fish eye bubbles, and the 3rd level - old man bubble. Fish eye bubbles is the right temperature for most teas (pu erh, oolong, tky, red tea). Other teas like green and floral teas require slightly cooler water leave fish eye water to cool for 1-2 min). The writer explained that the 1st level (crab eye) is called yin yang water and "is never used for anything in cooking as yin yang water is said to be unhealthy." The writer also commented that "at the third level, the water bubbles like mad. This is called old man water or white hair water and is not used for making tea." Well next time when you boil water, look at the water bubbles closely....not too close or else...steamed eye. My latest order from yunnan sourcing recently arrived. As you can see the contents were well packed and each item was individually packed in bubble wrapped. My order was mainly pu erh and a green clay teapot. I find that the range of tea offered by Yunnan Sourcing very impressive. Their prices and packing are very good. One tip about shipping. You MUST REMEMBER to mentally weigh your order. Let me explain. Goods shipped from all over the world are weighed for the postage. Usually the weight charged is in incremental steps of 500 gms. For example, it costs $15 to sent a 1.55 kg of stuff. You can add a 357 gms pu erh cake and not experience additional freight costs as the $15 covers up to 2 kg (in this case, does not exceed 2 kg with allowance for the box). My order was very close to 2 kg. This shipping rule applies to all stuff and not just tea. b) place the teapot in a metal pot , cover with water and low boil for 1 hr. c) after cooling, repeat this process, (b), changing water of course, and add raw pu erh (since i am using this pot for raw pu erh) of about 30 gms (no fixed rule). Slow boil for 1 - 1.5 hr. d) when cooled, rinse the pot and it is ready for use. As this is a light colored teapot, I decided not to nurture my pot (using 1st two infusions of the tea and pouring the tea over the teapot) to obtain a tea glow on the exterior of the pot. One of my tea friends commented his similar teapot had patchy stains as he poured tea over the teapot after a few months of use. More about the teapot nurturing in later blogs. Chinese tea plays an important part in chinese culture. One important contribution is the chinese tea ceremony in weddings. One of the components of a chinese wedding is the tea ceremony. The tea ceremony is a symbolic gesture in acknowledging the matrimony of the bride and groom by the parents and elders of the family. The married couple usually offers a cup of tea to the parents and elders of the family. In drinking the tea, the parents or elders acknowledges and recognize the wedding. (also in the olden days, there was no such thing as a wedding certificate). The couples are, in return for the tea, given lucky red packets that contain money or jewellery. Normally the tea is a sweetened red dates tea with dried fruit, but now normal chinese tea is used. There was a case in Indonesia where there was an extremely large wedding, the chinese ceremony was conducted without any tea in the cups........just pretend there is tea.....but the red packets are the real stuff though. This video is an actual tea ceremony video. It shows the tea ceremony in Singapore. In this video, the wedded couple is offering tea to their elder uncle and aunt. From Associated Press (4 Jun 2009) TOKYO - "FORGET 'Classic' or 'New' Coke. In Japan, you can soon have your cola flavored with green tea or basil. 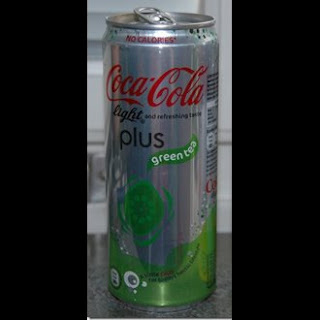 Green tea-flavored Coca-Cola will hit Japanese stores June 8, Coca Cola (Japan) Co. spokesman Katsuya Sato said Thursday. It contains tea antioxidants called catechins, leaves a slight green tea aftertaste and is mainly targeted at health-conscious women in their 20s and 30s, Sato said. 'We wanted to cater to people who are looking for something that tastes good but is also good for health and beauty,' he said. Coca Cola is the leader in Japan's cola market but faces stiff competition from non-carbonated bottled drinks such as tea, coffee and fruit juices. Rival Pepsi Cola is countering with another exotic cola - Japanese basil-flavored 'Pepsi Shiso,' which hits stores in late June. -- AP"